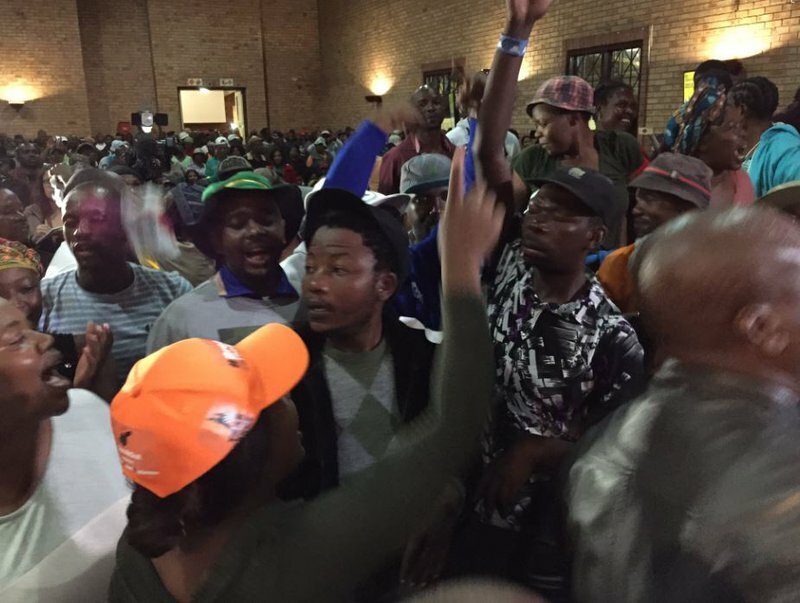 A meeting between Johannesburg Mayor Herman Mashaba and residents of Alexandra on Monday failed to get off the ground after residents refused him an opportunity to address them. Mashaba blamed the ANC after residents who pitched up for the meeting at the Marlboro community hall, which was supposed to discuss the Integrated Development Plan, prevented him from chairing the meeting. Residents pelted Mashaba with various objects, including papers and bottles. “Without any doubt, I have absolutely no doubt whatsoever. Read this document which I have made, go to the background on the people who were behind the Alexandra Renewal Project. Councillors involved in looting of state resources and these are the people who have been inciting our communities around this. I have instituted a forensic investigation, where we’ve had meetings with senior ANC members who have been working with the councillors,” Mashaba told the media after the cancellation of the meeting. Mashaba finally met with the community of Alexandra on Monday evening, following protests by residents over a lack of housing and service delivery. The mayor was set to deliver the Integrated Development Plan (IDP) to residents. However, residents refused Mashaba and council speaker Vasco da Gama an opportunity to address them, instead breaking into song and chants. This resulted in De Gama deciding to cancel the meeting. De Gama was adamant that the people of Alex would not be given another opportunity to engage the city. "The meeting in itself was disrupted, you could see thta the people disrupting the meeting were drunk. They were bussed in here specifically to disrupt the IDP session. The residents of Alexandra have lost out in ensuring that they are able to give their input in the government that serve them," he said.